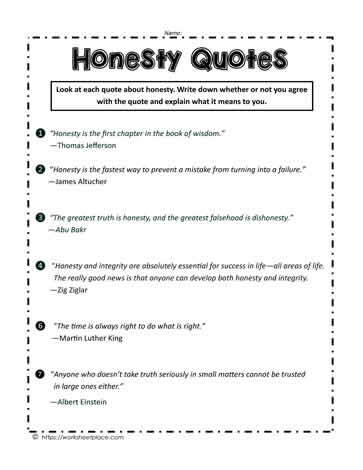 Honesty quotes to teach about the character trait of honesty. Using quotes in the classroom are a great way to teach about the traits. Have students agree or disagree with the quotes and state why. Ask what they think the quote means.